Several weeks ago I swapped out my CODE keyboard—a workhorse of a mechanical keyboard that I’ve banged away at for five years and through so many keystrokes I’ve had to replace the key caps—for the HAVIT Low Profile Mechanical 104-Key Keyboard. In more than a few ways the HAVIT is the opposite of the CODE keyboard, but not necessarily in a bad way. Let’s take a look at the key features of the HAVIT keyboard and, by the time we’re done, we think you might be lined up to order one. Different switches have a different feel—some have a long travel, some have a short travel, some click loudly and have a tactile bump, some barely click and are missing a tactile bump—and the switches on the HAVIT board feel quite a bit different than traditional mechanical keyboard switches. 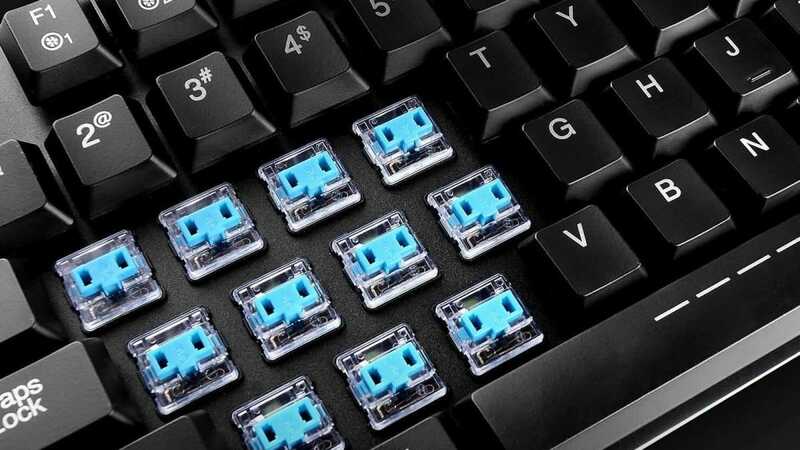 Inside the board you’ll find very low profile Kailh blue switches—low profile switches are a relatively recent development in the mechanical keyboard world. Low profile, by the way, is a massive understatement. The switches themselves are ~40% shorter than traditional mechanical keyboard switches, the key caps are around 50% shorter, and the travel distance is ~25% less. How does that feel when you’re typing? 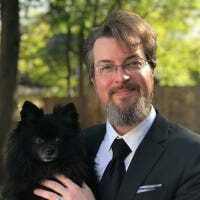 Although I’d acclimated myself to the longer travel distance and firmer pressure of the Cherry MX Clear switches on my CODE keyboard, I found it was very comfortable typing on the HAVIT board. In fact, almost like a runner who has taken off their weighted training vest, I felt like I was typing at the speed of light by comparison. Despite my apprehension about the lighter operating force and much shorter travel distance, typing on the board was a pleasure. In both my daily working writing and editing as well as playing video games, using the HAVIT low profile keyboard was an enjoyable experience. It feels like you’re using a laptop keyboard (because of the shorter key profiles and travel distance) but with the satisfying click and crispness of a mechanical keyboard. Speaking of gaming, the HAVIT board has a few little neat bonus features for gamers (or anyone who enjoys customizing their keyboard). Without any drivers, right out of the box, you can cycle through a variety of color customization settings using just the presets programmed into the keyboard itself and the function keys. These color choices include switching between some showy patterns like a ripple effect (the keys aren’t lit up until you type and then the colors activate and “ripple” away from your fingers) to simply lighting up the keys a fixed color like red or blue. There’s even a handful of presets that highlight the key configurations for popular games so only the keys you use for that game are lit up. While that’s novel enough as it is, you can also install a driver pack on Windows to allow you to program the board, as seen below. 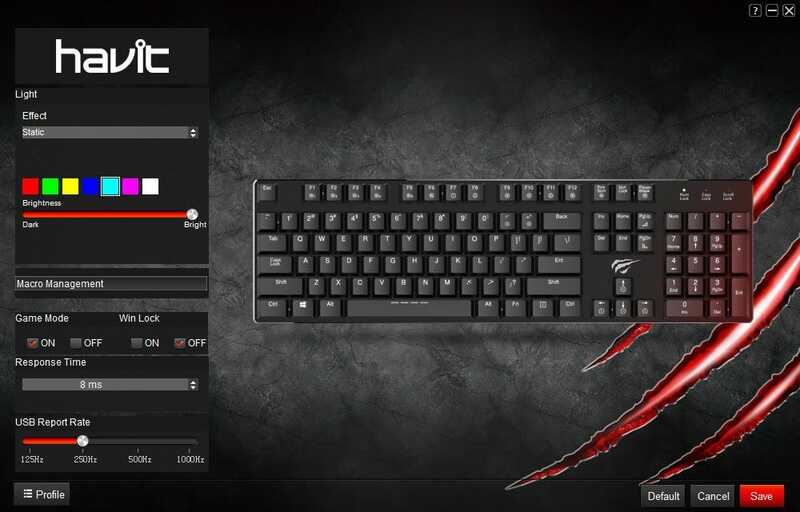 The helper application allows you to switch the keyboard effects, program key macros, adjust the board brightness, and toggle a variety of settings. You can even save these settings as profiles so you can easily create a daily use profile for when you’re working, and different profiles for different games you play. Even you’re using the HAVIT board on a non-Windows machine, however, I found the built-in functions customizable enough without a need to resort to the helper application. 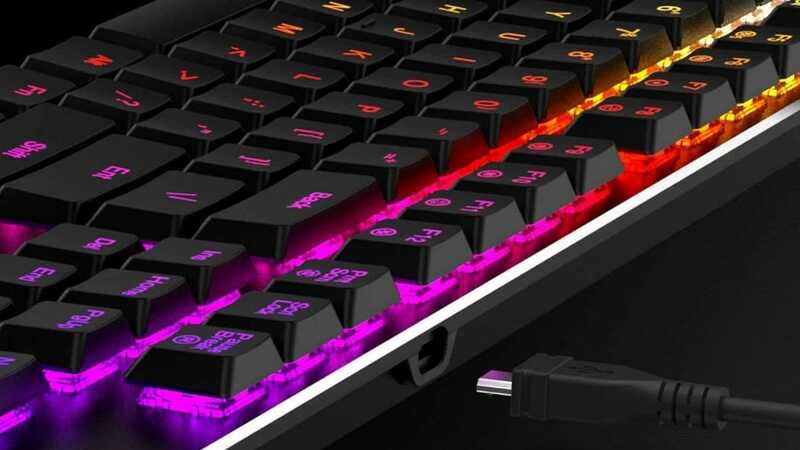 For $20 less you get the same keyboard less the number pad and the RGB lighting (the cheaper model is an 87-key “tenless” model with only blue LEDs, not full RGB). 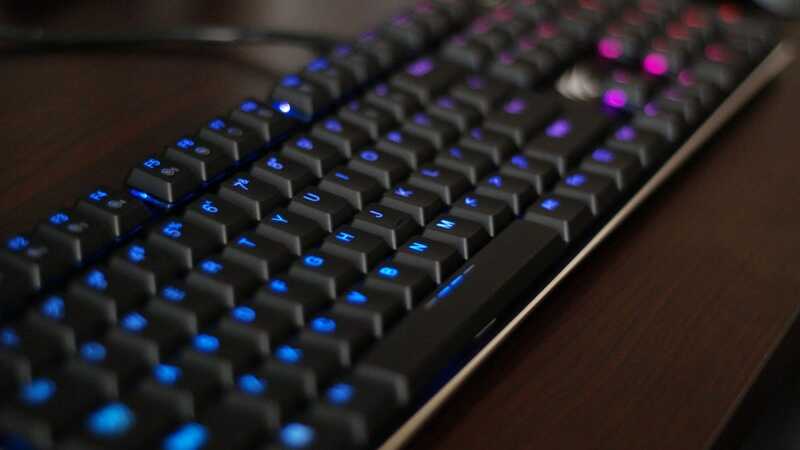 If the number pad isn’t a big deal to you and you’re not particularly hung up on having a rainbow-rific keyboard, the HV-KB390L is an even bigger steal than the full 104-key RGB model. Either way both boards are solid options for anyone searching for a low profile, light touch, and fully mechanical keyboard. As much as I love my CODE keyboard I know the stiff keys and long travel aren’t for everyone, but I would happily recommend the HAVIT low-profile models to someone used to a dome keyboard or laptop “chiclet” keyboard who wanted to make the transition into mechanical keyboards.